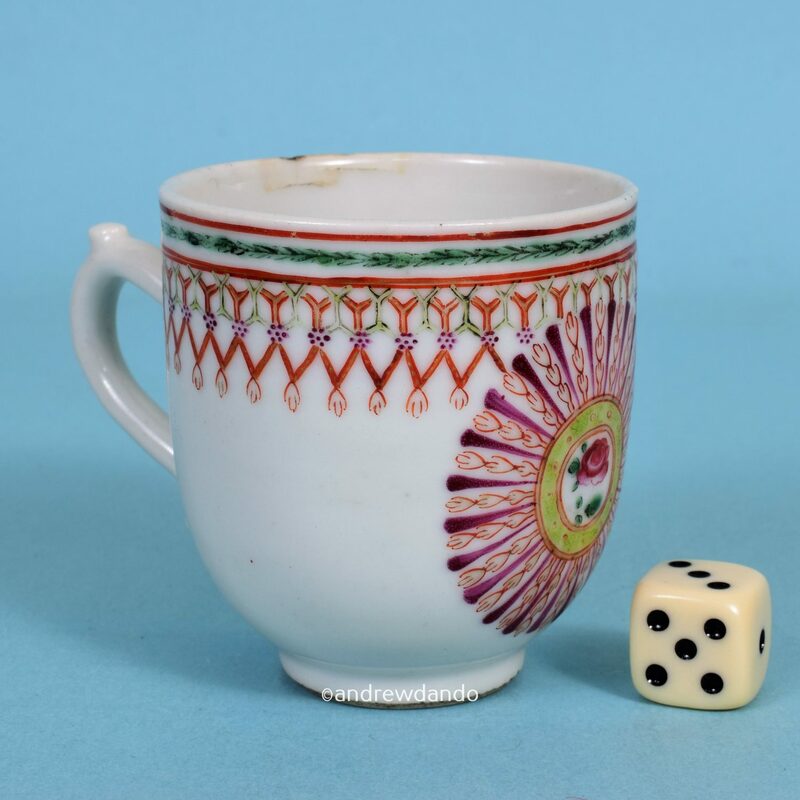 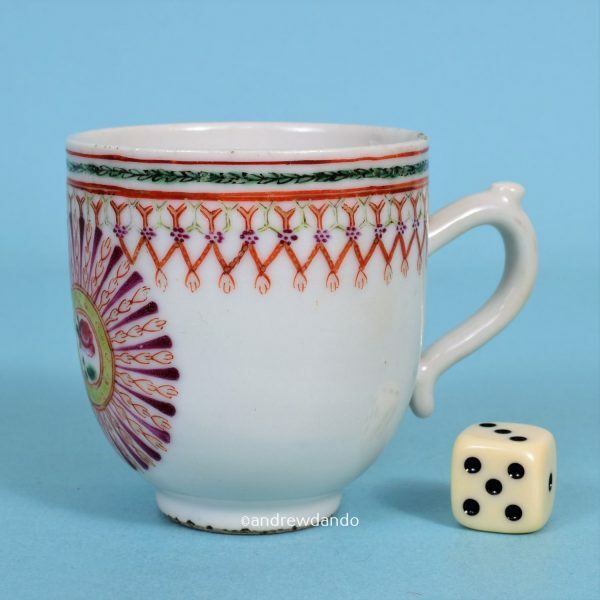 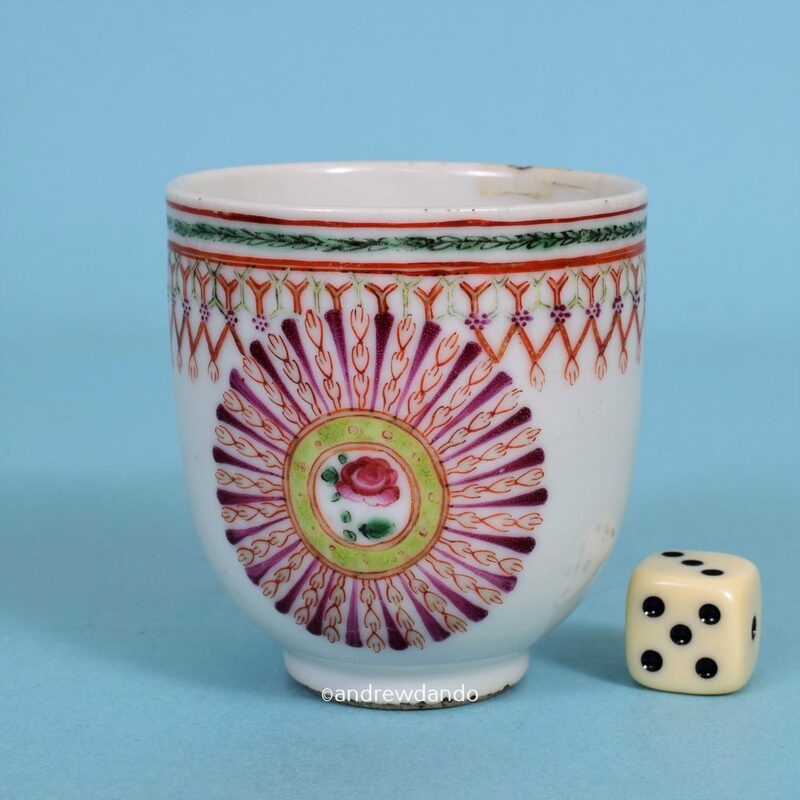 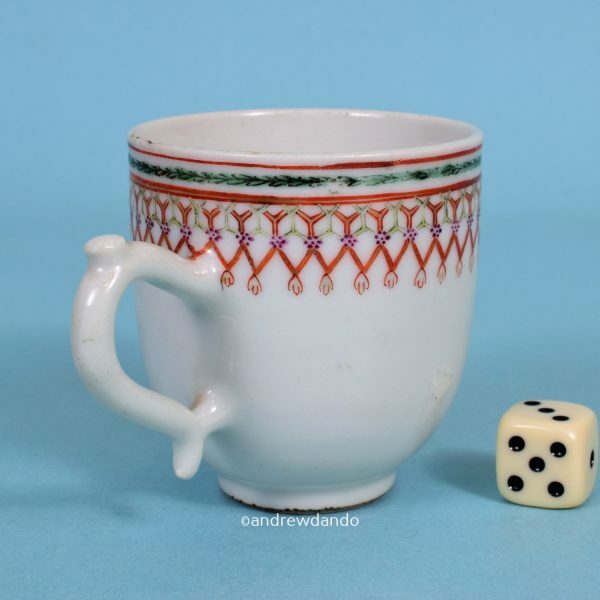 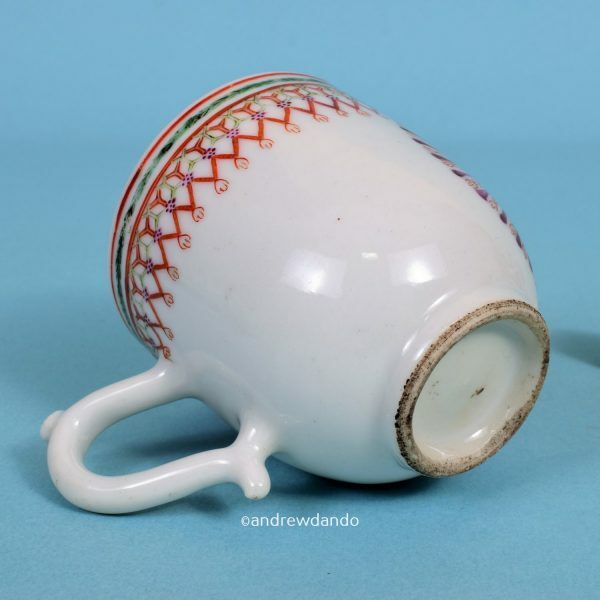 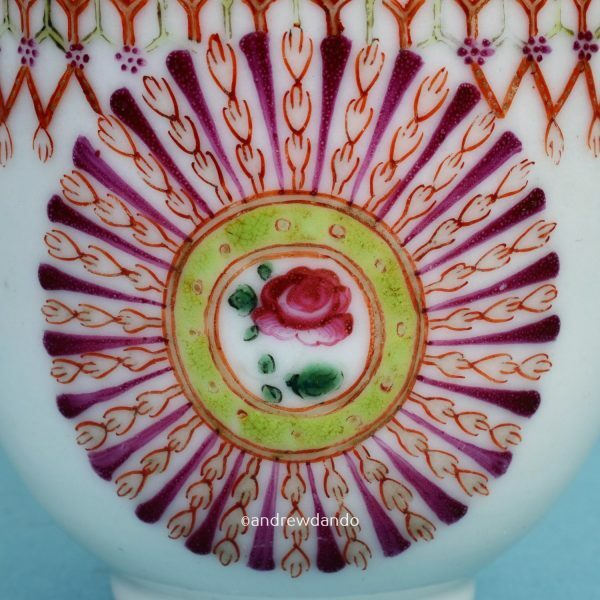 18th century Chinese export porcelain coffee cup, decorated with an unusual ‘sunburst’ type panel with central floral motif, painted in famille rose enamels, beneath an intricate border pattern. Possibly for the Middle Eastern market. 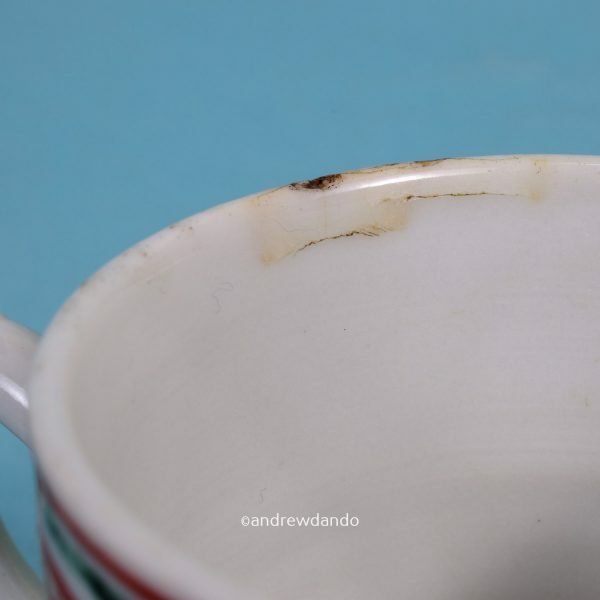 Condition: Small ‘bruise’ on rim.